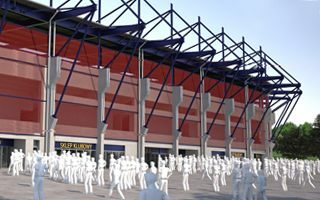 The concept of building from scratch in the place of current Stettin stadium was created by the initiative of local club Pogoń. The team wanted to create an alternative to compromised plans by the municipality to gradually redevelop the old structure. Not only more in line with club/supporter expectations, this concept might also prove cheaper. 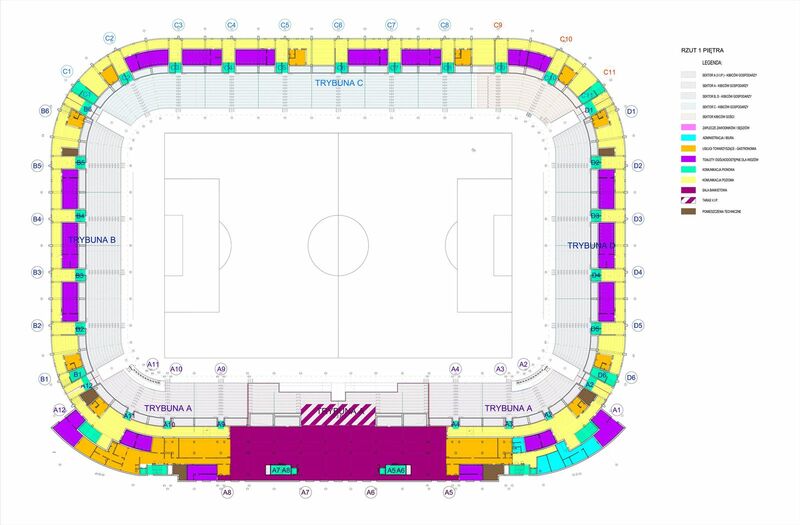 Pogoń decided to make their case by commissioning the adaptation of existing stadium project, that being introduced in Łódź. Architect in charge, Jacek Ferdzyn, decided to run some minor changes, especially in colour scheme, to allow Stettin fans to identify with this structure. But in terms of construction, it would be almost identical with the original design to optimize cost and time frame. Due to complicated topography, the stadium should preferably be located on the east-west axis, as is the current one. Construction would have to be preceded by complete demolition of the existing structure and massive excavation of up to 200,000 cubic meters of soil. While generating additional cost, this would still place complete budget below that planned by the municipality of Stettin.